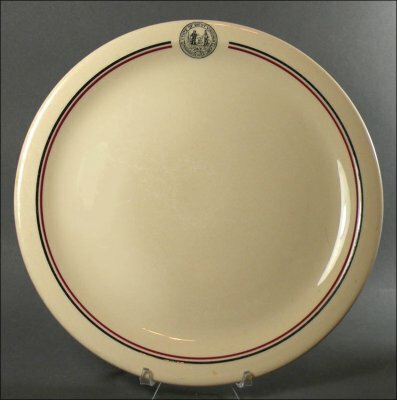 This handsome plate was made by McNicol with the WV state seal as its decoration. 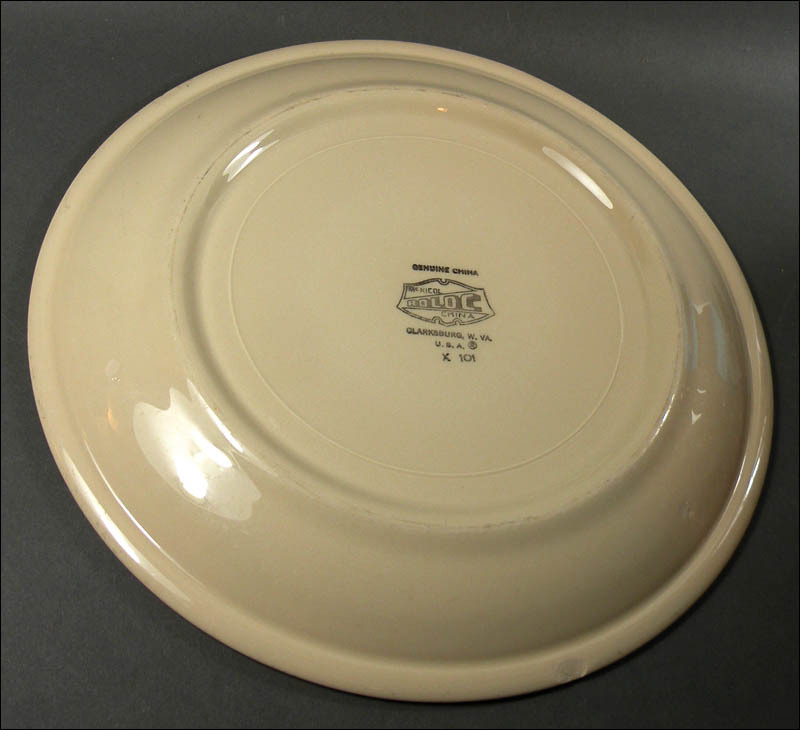 It is a dinner plate, 9 5/8" in diameter. 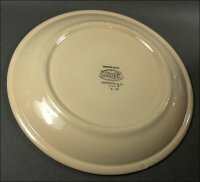 Its price is reduced because it has moderate-to-heavy wear and there's a chip on the rim on the underside, shown in photos. 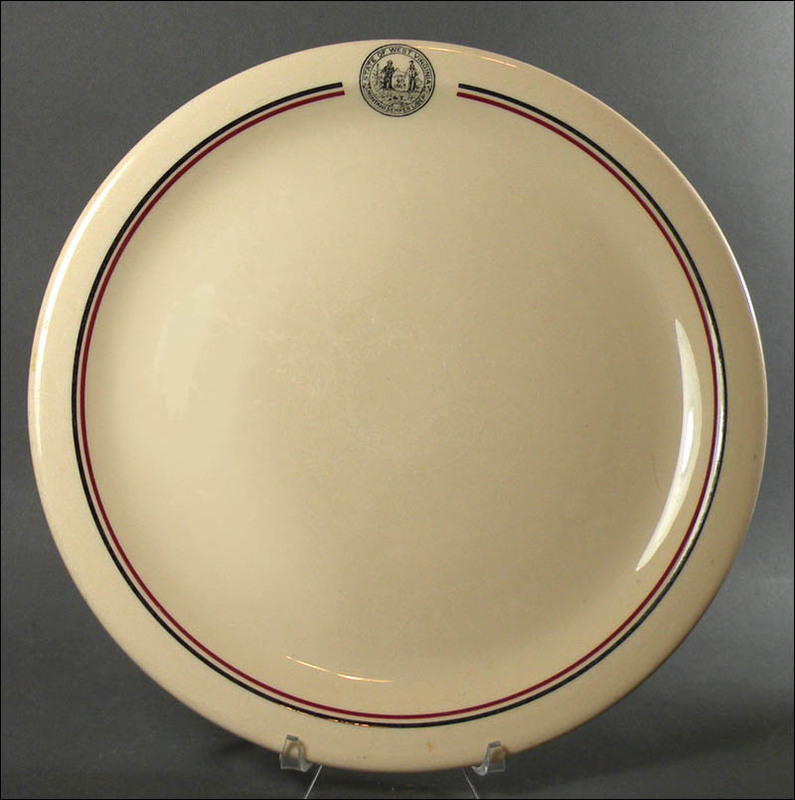 It displays very well and can certainly be used, and the chip doesn't show from the front of the plate.